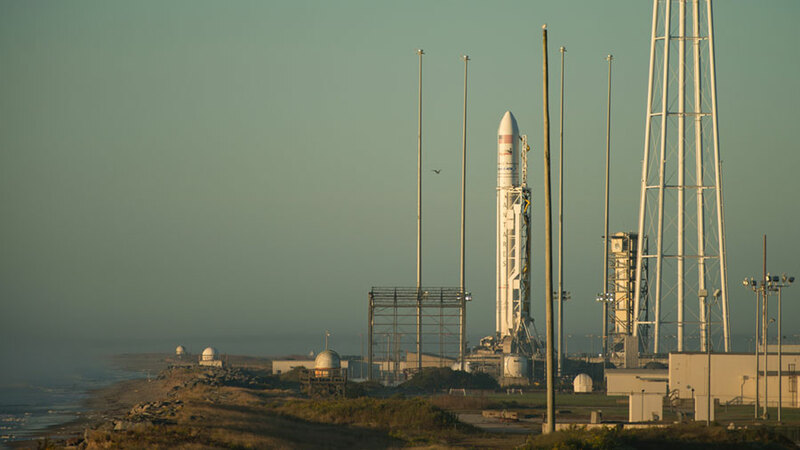 (From left) The Antares rocket with the Cygnus cargo spacecraft on top rests at its launch pad in Virginia. The Soyuz rocket that will carry three new crew members stands at its launch pad in Kazakhstan. Launch day has arrived for the Cygnus cargo craft which is scheduled to liftoff aboard the Orbital ATK Antares rocket today at 7:40 p.m. EDT. Two days later, three new crew members will launch aboard a Soyuz rocket for a two-day trip to the International Space Station. Cygnus will wait for the Soyuz MS-02 spacecraft to dock on Friday before it approaches the station Sunday for capture and installation to the Harmony module. Cygnus is delivering about 2,400 kilograms of crew supplies and research. Meanwhile, the three orbiting Expedition 49 crew members stayed busy with life science research, lab maintenance and cargo packing. Astronauts Kate Rubins and Takuya Onishi took body measurements to determine the impacts microgravity has on body size. Rubins also explored how skin ages quicker in space while Onishi attached electrodes to himself to analyze his heart function. The duo also reviewed Cygnus approach and rendezvous procedures. Commander Anatoly Ivanishin looked at wide variety of Russian research including nutrition and pain thresholds in space. The veteran cosmonaut also began loading cargo for his crew’s return home at the end of October. The Orbital ATK Antares rocket, with the Cygnus spacecraft onboard, is seen on launch Pad-0A during sunrise, Sunday, Oct. 16, 2016 at NASA’s Wallops Flight Facility in Virginia. The Orbital ATK Antares rocket, with the Cygnus spacecraft onboard, is raised into vertical position at its launch pad Friday, Oct. 14, 2016 at NASA’s Wallops Flight Facility in Virginia. The Orbital ATK Antares rocket rolled out to its launch pad in Virginia Thursday night carrying the American-made Cygnus cargo craft. Cygnus is scheduled to launch no earlier than Sunday at 8:03 p.m. EDT. If Cygnus launches on time it will arrive at the station Wednesday morning and deliver about 2,400 kilograms of crew supplies and research. Cygnus will depart in late November and deploy a set of weather monitoring nanosatellites before conducting the Saffire-II internal combustion experiment. Back in space, astronauts Kate Rubins and Takuya Onishi collected blood samples and spun them in a centrifuge before stowing them in a science freezer. Samples are collected before, during and after missions then analyzed by doctors to understand the effects of living in space on humans. Current human research experiments using the sample data include Biochem Profile, Cardio Ox and Repository. Onishi also scanned his neck, thigh and heart with an ultrasound then checked his blood pressure. The biomedical study from Canada observes heart and blood vessel changes with results potentially improving health on Earth and in space. Russia’s Progress 63 space freighter undocked from the International Space Station early Friday morning and burned up safely over the Pacific Ocean a few hours later. It will be replaced by a Progress 63 cargo craft in early December. NASA and Orbital ATK mission managers are tracking Hurricane Nicole before finalizing a Cygnus cargo craft launch to the International Space Station no earlier than Oct. 16. 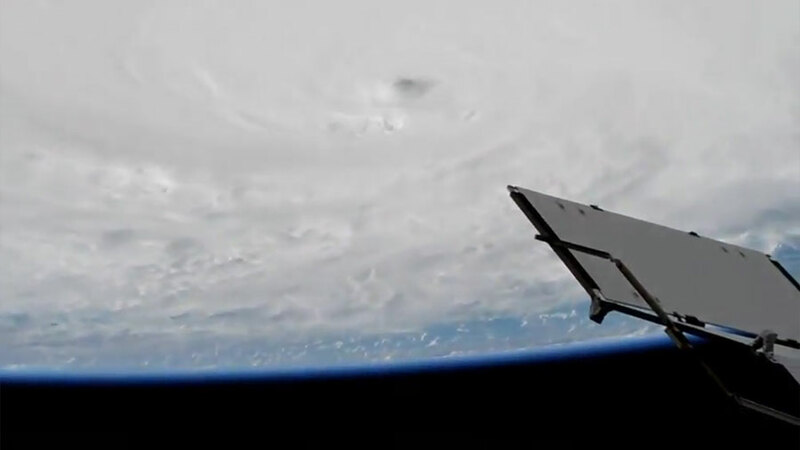 Officials are securing a spacecraft tracking station in the Bermudas and monitoring the facility threatened by the category three storm. Two astronauts – Kate Rubins from the United States and Takuya Onishi from Japan – are getting ready for Cygnus’ planned arrival next week. The two Expedition 49 flight engineers checked out video and robotics gear today and discussed cargo operations with ground controllers. Meanwhile on the other side of the world, a new space station crew is counting down to an Oct. 19 launch aboard the Soyuz MS-02 spacecraft. NASA astronaut Shane Kimbrough and cosmonauts Andrey Borisenko and Sergey Ryzhikov will take a two-day trip inside the upgraded Soyuz to their new home in space. 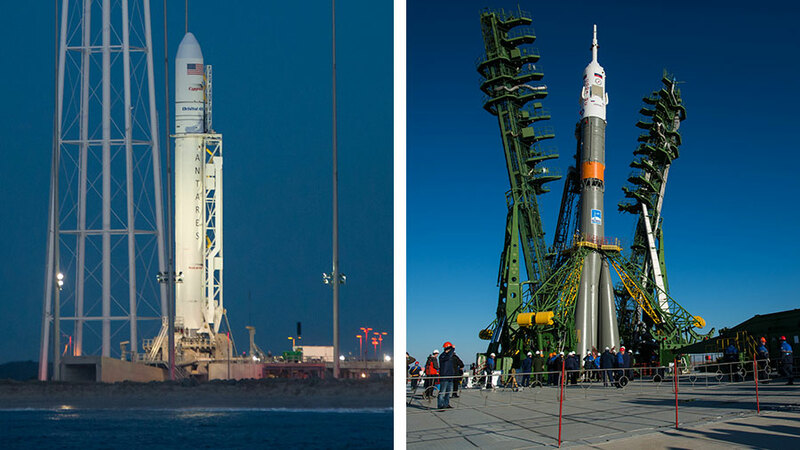 The trio are in final mission preparations in Kazakhstan where they will launch from the Baikonur Cosmodrome. 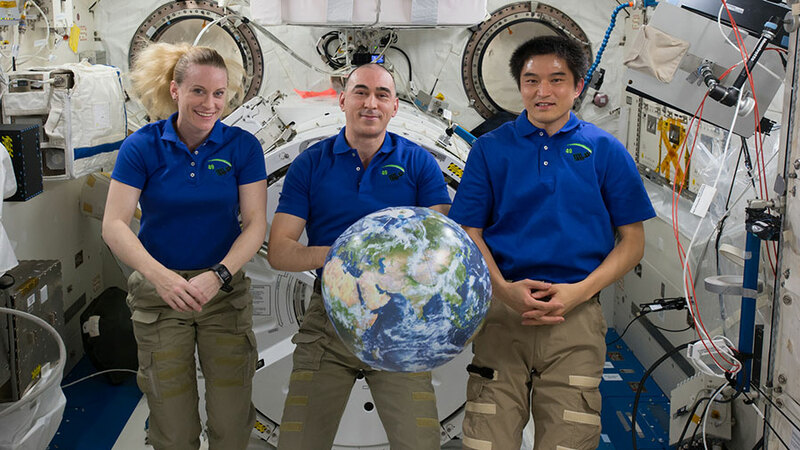 (From left) Expedition 49 crew members Kate Rubins, Anatoly Ivanishin and Takuya Onishi pose for a portrait inside Japan’s Kibo laboratory module. A pair of spaceships are on opposite sides of the world gearing up for missions to the International Space Station next week. Wallops Flight Facility in Virginia is getting ready for its sixth Orbital ATK mission aboard a Cygnus resupply ship no earlier than Oct. 16. NASA and Orbital ATK mission mangers are monitoring Hurricane Nicole before finalizing the Cygnus launch date. Cygnus will be packing about 2,400 kilograms of crew supplies and research. After its cargo mission is complete, Cygnus will depart away from the station to deploy a set of weather monitoring nanosatellites before conducting an internal combustion experiment. 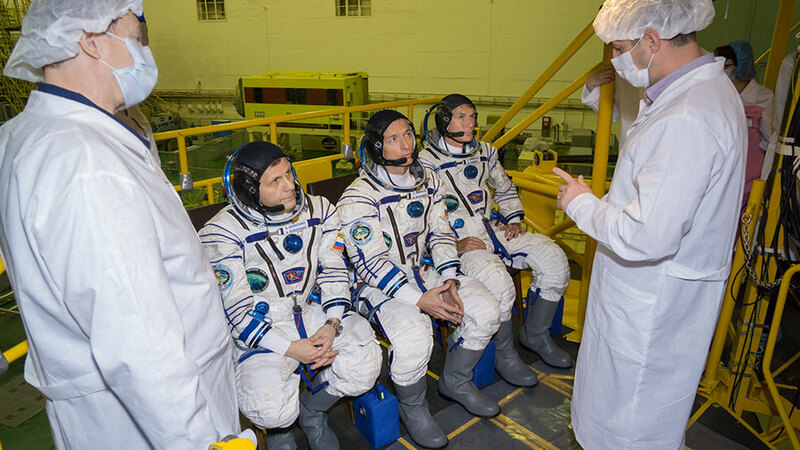 The Baikonur Cosmodrome in Kazakhstan will host the launch of three Expedition 49-50 crew members inside the Soyuz MS-02 spacecraft. 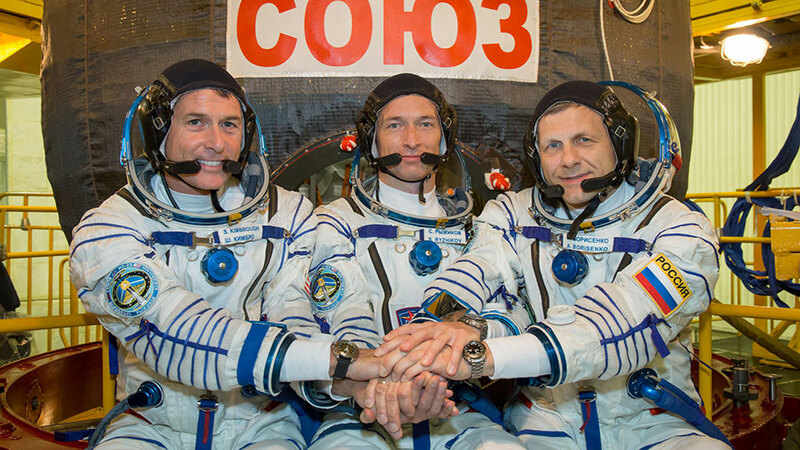 The trio is scheduled to launch Oct. 19 on a two-day trip to its new home in space. Two astronauts living in space right now spent the first part of their day exploring upper body fluid shifts caused by microgravity. These fluid shifts apply pressure to eyes and have been known to affect crew vision. Kate Rubins and Takuya Onishi participated in eye exams and ultrasound scans for today’s experiment run. Commander Anatoly Ivanishin checked life support systems today and worked on Russian science experiments. The veteran cosmonaut explored the water composition of a crew member living in space and researched micrometeoroid impacts on the space station. Expedition 49-50 crew members (from left) Shane Kimbrough, Sergey Ryzhikov and Andrey Borisenko pose for pictures Sept. 9 in front of their Soyuz MS-02 spacecraft. Hurricane Matthew, a huge category 4 level storm, as seen from the International Space Station Oct. 3, 2016. The International Space Station has been flying over Hurricane Matthew all week as the storm hit the Caribbean Sea and makes its way towards Florida. 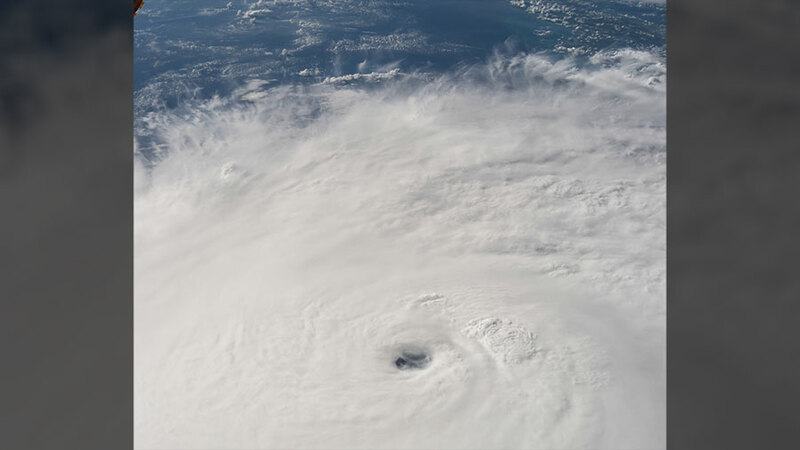 While the citizens of Florida braced for the hurricane’s impact, the crew researched how living in space impacts the human body. Astronauts Kate Rubins and Takuya Onishi collected their blood samples, spun them in a centrifuge and stored the samples in a science freezer. The samples will be examined on Earth to understand the detrimental effects of living in space on bone marrow and blood cells. Rubins also joined Commander Anatoly Ivanishin for eye checks today to explore the headward fluid shifts astronauts experience during long-term space missions. These fluid shifts increase pressure on the brain and eyes, potentially causing vision problems. The duo used a series of tools including an ultrasound to examine their eyes. Finally, Onishi researched how microgravity affects microbes living inside humans, possibly upsetting the immune system. The Japanese astronaut also worked on a device that enables materials to burn safely at high temperatures for combustion research. The Cygnus spacecraft is pictured Dec. 9, 2015, moments before it was captured by the Canadarm2 robotic arm. The Cygnus spacecraft is targeted to launch atop an Antares rocket Oct. 13 from the Mid-Atlantic Regional Spaceport in Virginia. 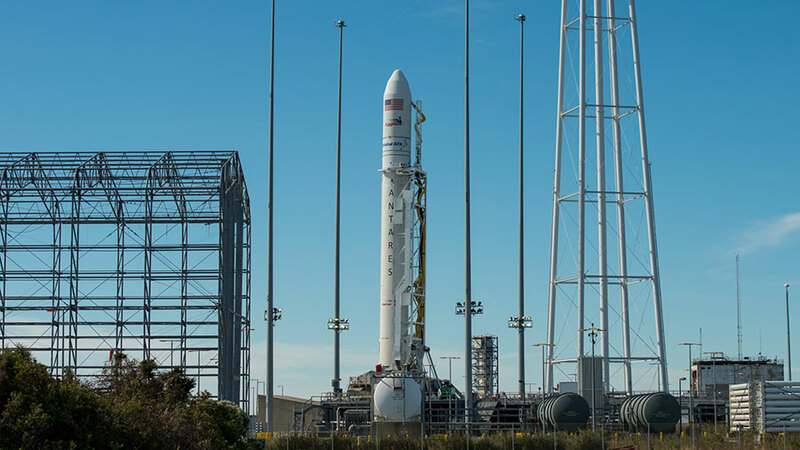 NASA and Orbital ATK officials successfully completed a flight readiness review and are working towards an Oct. 11 roll out of the vehicle to the launch pad. 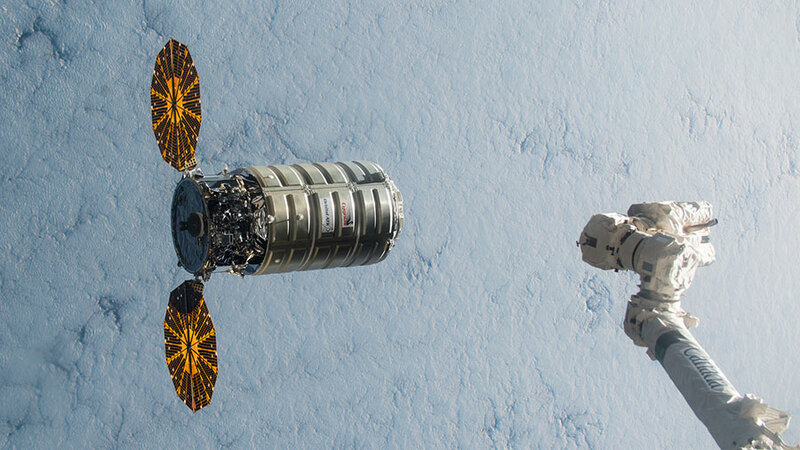 This will be the sixth cargo mission to the International Space Station for Orbital ATK which will be packing about 2,400 kilograms of crew supplies and research gear inside Cygnus. While mission managers work on pre-launch activities, the Expedition 49 crew is preparing for Cygnus’ cargo delivery and training for its robotic capture. Astronauts Kate Rubins and Takuya Onishi will monitor Cygnus from the robotics workstation inside the cupola during its approach and rendezvous. When Cygnus reaches a point about 10 meters from the station the duo will command the 57.7-foot Canadarm2 to grapple the resupply ship. Ground controllers will then remotely take control of Canadarm2 and mount Cygnus to the Unity module. Despite a busy schedule, all three crew members, including Commander Anatoly Ivanishin, continue pressing ahead with ongoing science experiments and station maintenance. Onishi is in the middle of a study documenting his nutritional intake this week while Rubins checked out a U.S. spacesuit today. Ivanishin worked on Russian life support systems and had time set aside for space research. The Expedition 49 crew is getting ready for the mid-October arrival of the Orbital ATK Cygnus spacecraft. The trio is also exploring human research and setting up a student Earth observation experiment. First-time astronauts Kate Rubins and Takuya Onishi are brushing up on the robotic capture techniques necessary to grapple the Cygnus cargo craft. The Cygnus private space freighter is targeted to launch from Virginia between Oct. 9 and 13 and arrive at the International Space Station about 2-1/2 days later. The duo will be inside the cupola at the robotics controls monitoring Cygnus’ arrival then capturing it with the 57.7 foot long Canadarm2. Ground controllers will then take over robotic operations and remotely attach Cygnus to the Unity module. Cygnus is delivering crew supplies, scientific research and hardware to the station crew members. Before the pair began training today, Rubins sampled the station’s water for microbes and stowed the Hard to Wet Surfaces research gear. Onishi tested his fine motor skills on a mobile tablet device and logged his diet for the ENERGY experiment. Commander Anatoly Ivanishin set up the Sally Ride EarthKAM experiment inside a Harmony module window today. The Earth imagery gear allows students to take pictures of Earth from space and share them on the internet.